A luxurious collection of hot choc drinks wrapped in luxury gold tissue paper, to include a mixture of milk, white and dark hot chocolate beautifully packaged and finished off with a handmade bow. Each individual hot chocolate may contain milk or soya and maybe made in a factory where nuts and sesame seeds are used. Very happy. We live in Greece and ordered this in November for a December delivery. 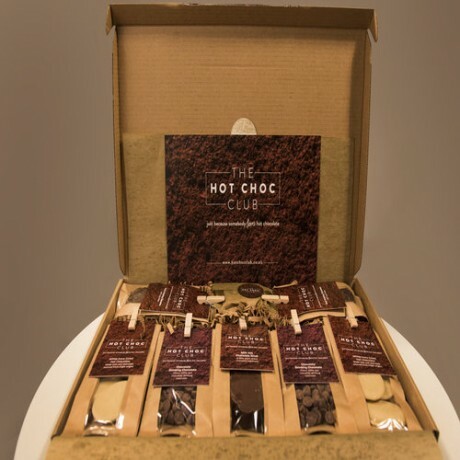 It was delivered on time to my Grandson who was delighted and sent a photo to show me. 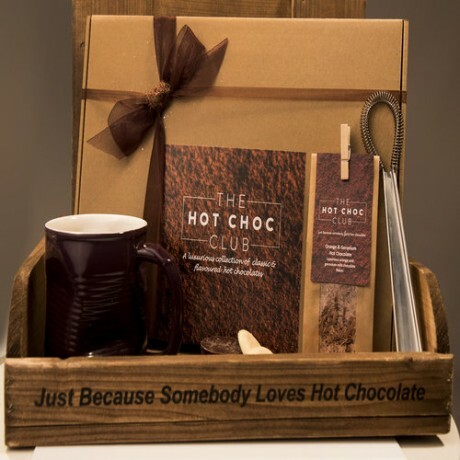 My 10 year old was sent a hot choc gift through the post and was over the moon with it, good quality hot chocolates, great presentation and lovely idea for hot choc lovers, will definitely buy again.